It's great for dancers and physical comedians. There are plenty of gadgets out there for making music on your mobile device, but they're relatively sedentary affairs. 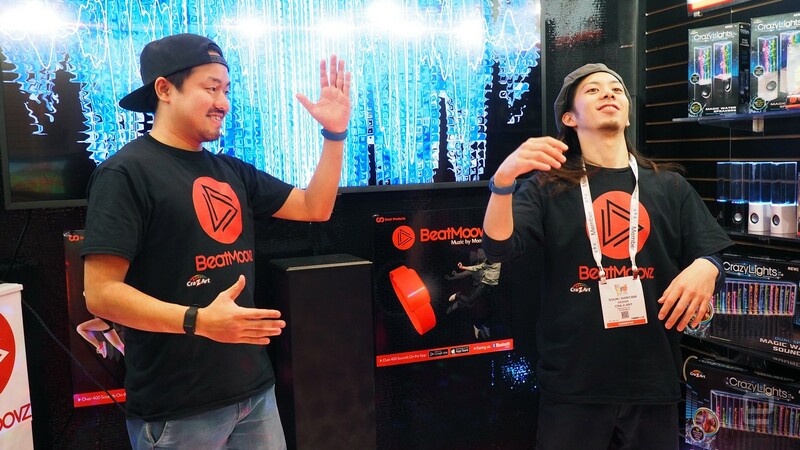 BeatMoovz turns things arounds with a music tool that gets you up and dancing: instead of moving with the music, you dance and create a soundtrack using your steps, spins and sashays. 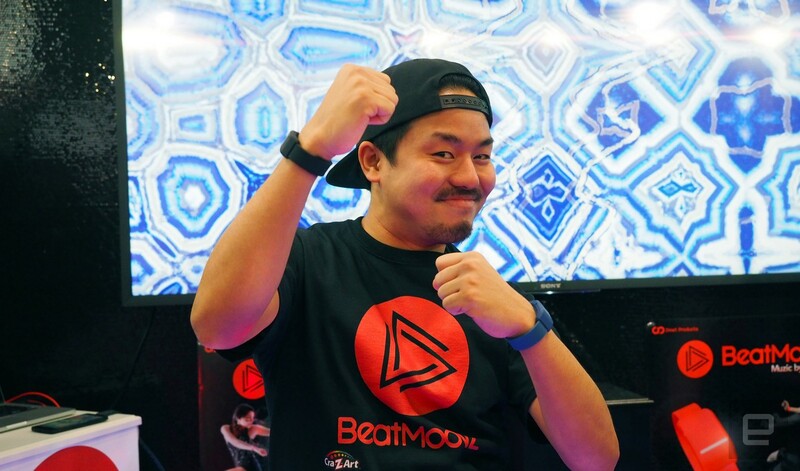 Developed by Daigo Kusunoki, a competitive dancer with a background in mechanical engineering, BeatMoovz is a pair of Bluetooth bands you wear on your wrist or ankles. You pair them up with the iOS or Android app, and then you're ready to start making music. It's attuned to how fast you go and how you move -- a gentle rocking may produce a slow groove versus a faster beat you get from breakdancing. Multiple sets of bands can be hooked up to one app: the demo at Toy Fair involved Kusunoki and another dancer both wearing two sets of bands, with them bouncing, waving and kicking to produce a variety of techno and hip hop jams. Different sounds can be assigned to each bracelet for a fuller piece of music. It's easy to imagine a street dancer using this to put on performances, as well as kids competing to create the most interesting compositions. The app isn't limited to a small set of instruments -- there are 400 different options from a whole variety of music genres, from rock to pop to jazz. There are even sounds inspired by science fiction, video games and action films. The BeatMoovz will recognize your movements and apply the appropriate audio effects -- you can do the robot with all the appropriate mechanical shifting and clinking or, if you're not into dancing, it's also great for some physical humor as you pretend to shoot fireballs at your friends. Each set of bands will cost $70 when they're released in August. They'll come in blue, black, red, green, yellow or orange, so you'll have no problem matching them to your favorite dance attire.